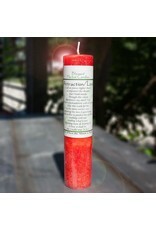 A hot red candle with a romantic lavender spice blend. 1.5 x 7 pillar with a 40 hour burn time. 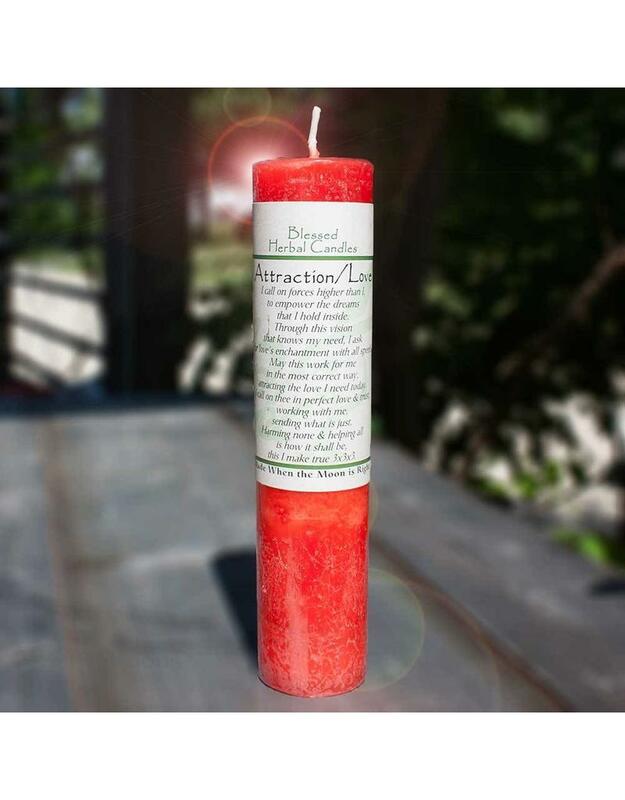 The Attraction Candle is designed to open your heart, mind and spirit to the ultimate source of love. Through this universal love you can manifest what you desire and deserve. This fragrance is blended with the magic to bring about a true understanding of the Love that starts within the self, for when there is self-love; you feel deserving of all good things. to empower the dreams that I hold inside. I ask for love’s enchantment with all speed. attracting the love I need today. I call on thee in perfect love and trust, working with me, sending what is just. Harming none and helping all is how it shall be, this I make true.